An Awards Recognition Task Force was formed to answer this question: Professionalism – how do we define it, recognize it and award it? The ROAR (Recognizing our Accomplished REALTORS®) Awards were developed to recognize members who demonstrate role model-calibre performance in specific areas of real estate. These prestigious awards identify each recipient as a true professional, with qualities to which all REALTORS® can aspire. 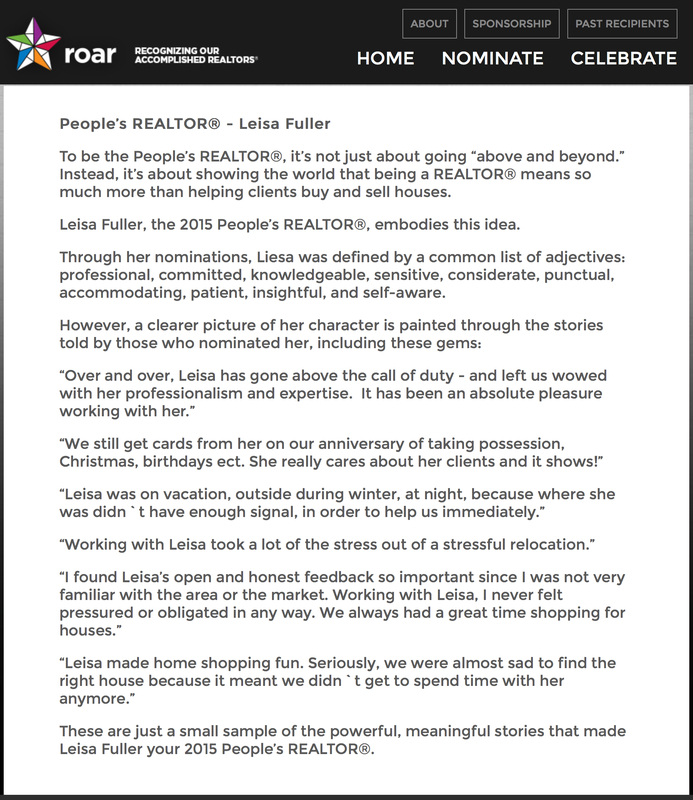 The People’s REALTOR®, the only award where nominations originate from members of the public, is presented to an individual considered to be the best-of-the-best in the eyes of their clients. This REALTOR® redefines what it means to go above and beyond. The ROARs provide a unique opportunity to celebrate the exceptional talent and hard work of Calgary and area REALTORS®. They recognize REALTORS® for their professionalism, excellence and dedication to their careers, mentorship, and how they contribute to their communities. There five categories are: Marketing Excellence, Mentorship Distinction, Community Impact, Commitment to Education, People’s REALTOR® . “The ROAR awards are especially meaningful because the nominations were made by industry peers, and in the case of the People’s REALTOR® category, by clients,” said CREB President, Corinne Lyall. 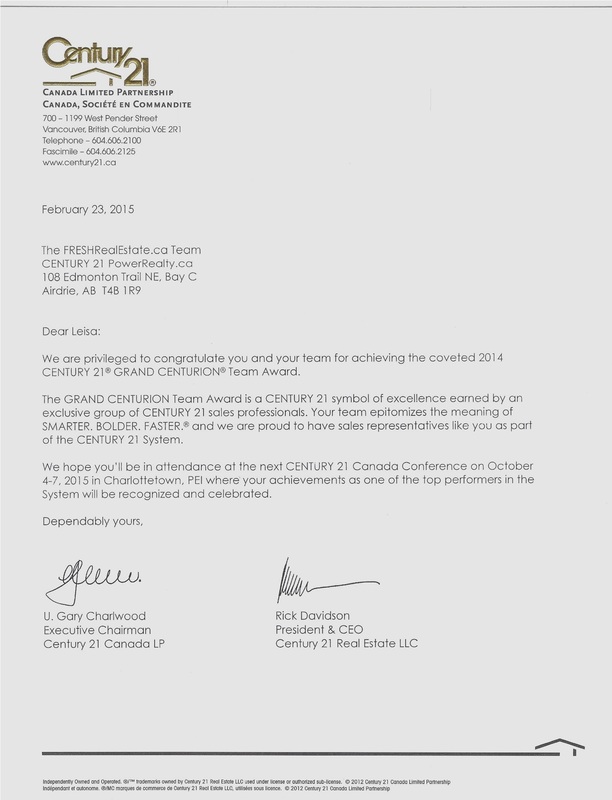 Calgary, Alberta February 23, 2015 - FRESH Real Estate Team of Century 21 Power Realty, has been awarded the coveted Grand Centurion Award by Century 21 Canada. 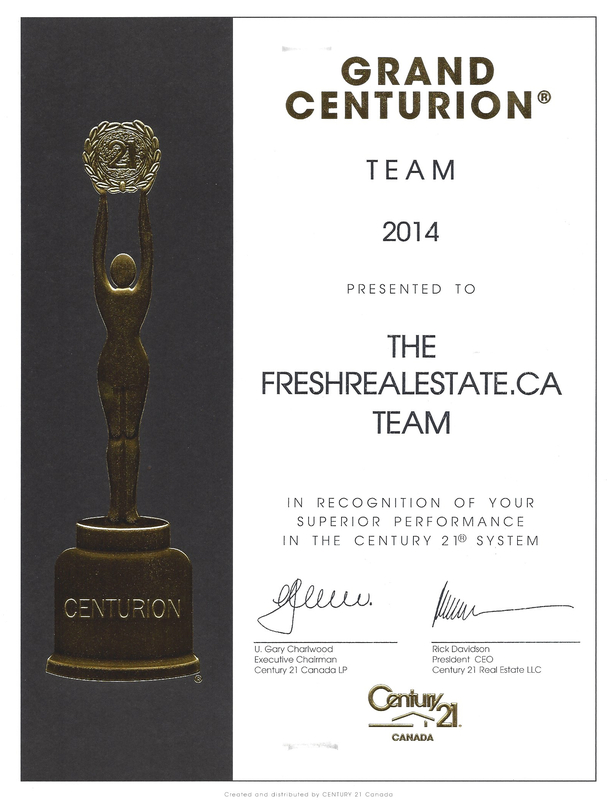 To achieve CENTURION status is to earn one of the most prestigious awards presented to CENTURY 21 real estate professionals. Only a small number of teams in the CENTURY 21 System ever reach this elevated status. In addition to qualifying for the Grand Centurion Award, the FRESH Real Estate Team ranked #10 Team by Units and #14 Team by Production for all of Canada. Leisa Fuller has been a real estate professional for 9 years in Calgary. "We focus on providing each individual client with extraordinary service and expanding our market knowledge, that's what matters most" said Fuller. "We're truly grateful for our clients who made this success possible." "FRESH Real Estate's professionalism and dedication has made them a valued and trusted real estate partner in the community and a major contributer to the overall success of our office," said Bob Sheddy, Broker/Owner of Century 21 Power Realty. "Congratulations from all of us!"